Calcium is an important mineral for maintenance of bone architecture and health. Calcium is also required for the proper functioning of heart, muscles and nerves. The daily calcium requirement of the body is usually not met by diet alone, so most individuals have a chance to develop deficiency, especially during increased loss. 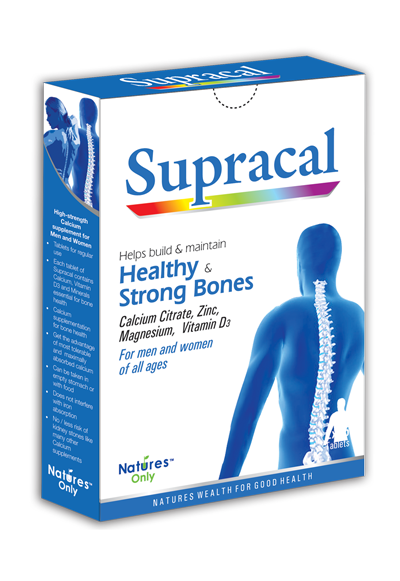 Supracal has been developed to provide essential vitamin D for calcium absorption. Calcium citrate, unlike other calcium supplements does not produce gas or acidity and has been proved to be the best-absorbed calcium.